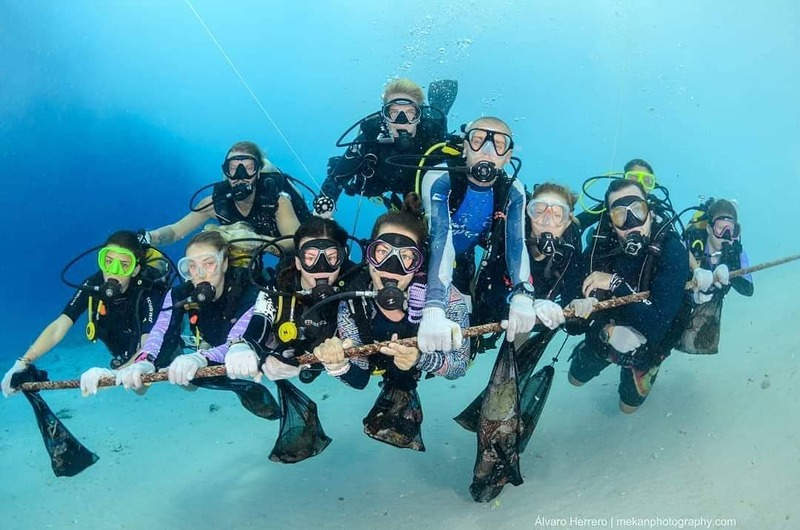 Friday 13th might be unlucky for some, but for us here at Gili Divers it was reef clean day. There isn’t much worse than seeing trash on a dive, but sadly it’s a reality we see far too often as divers. Eight divemaster trainees and 2 divemasters dove right in, taking on the trash at the house reef dive site just off shore from the shop. The dive got off to a good start, we collected a few bits and pieces, like plastic food wrappers and a Bintang bottle or two, but the closer we got to the main strip of the island the real scale of the problem reared its ugly head. All of us began filling our mesh bags with more thrash than we could carry! It wasn’t just general rubbish either, as well as plastic, cans and bottles we were picking up all sorts of things, like clothes, mugs, fins and even an oar. For me the saddest part was seeing the trash and marine life side by side. On the dive I spotted a tiny yellow juvenile boxfish, the biggest giant moray I have ever seen, clownfish, scorpion fish and a pair of cowfish, to name a few. While untangling fishing line from coral a peacock mantis shrimp popped its head out from under the rock. These marine creatures are one of my favorites, not only do they have one of the most powerful punches pound-for-pound in the animal kingdom, reaching a whopping 50mph, their amazing eyes can see 12 color wavelengths, compared to the 3 we humans can see; imagine colors you can’t even imagine! If it’s not already clear why collecting trash from our oceans is so important, let me throw a few facts your way. Did you know coral reefs are some of the most bio-diverse ecosystems on the planet? Providing shelter, food and a place to reproduce for over 25% of all marine life. Sometimes referred to as the rainforest of the ocean, coral reefs also provide a barrier against coastal erosion and rising sea levels. They’re important for fishing and tourism, and the loss of just 1 kilometer of reef could cost the economy a loss of over $1 million over 25 years, that’s only 1/6th of the way around Gili Trawangan. One billion people also depend on coral reefs as their main source of food. Scientist have predicted that we could lose up to 90% of all coral reefs within the next 30 years due to stresses that we as humans are putting on the ocean, such as pollution, overfishing and climate change. 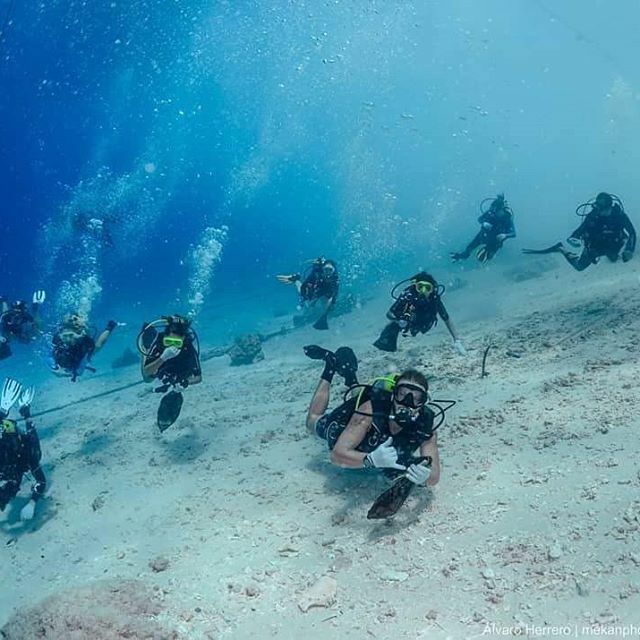 Although it felt great to be doing our bit, at the end of the dive on our safety stop we were all staring down at the trash below wishing we had longer and could do more… So we’ll all be there next Friday for another debris free dive!